Some of us got sick this week, but we did stuff anyway! First up, Felix worked on scenes again. And look who popped up again! He also added in Emilie’s graphics and attacks! 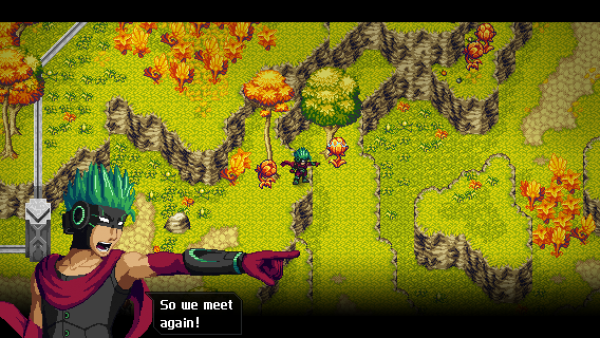 The graphics are done by T-Free. Just look at that whooping dodge. 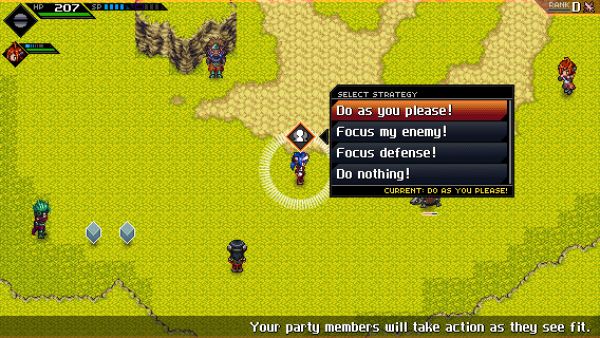 Stefan got sick, but we took some time to add a new entry to the quick menu: Party Strategy! Here you can tell your partners what do. Next to this we started adding text to the lore menu! 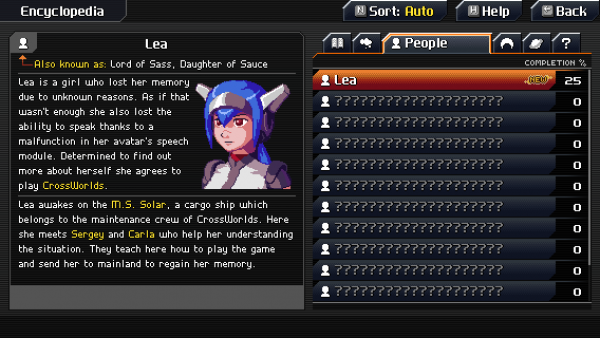 Each entry can have multiple paragraphs. Can you unlock them all? You can also see that new entries are marked with a little icon. This way you always know if something has been updated! 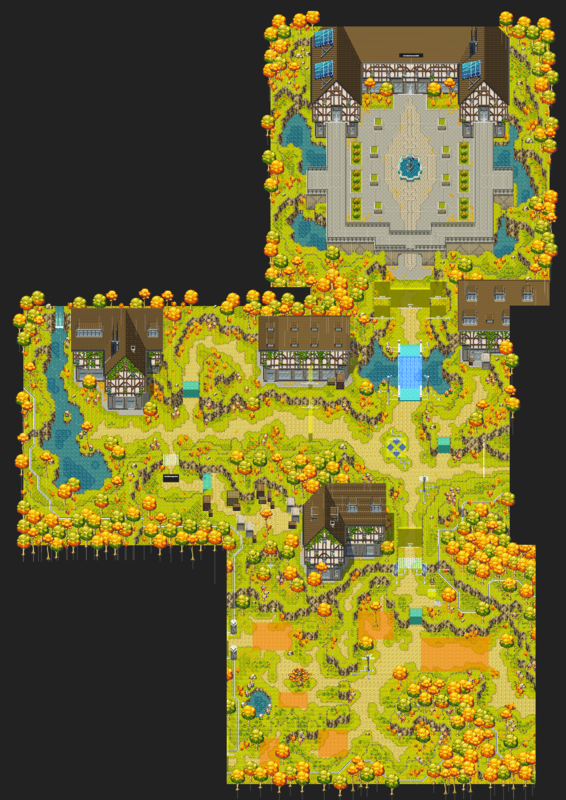 Finally Stefan added 3 new maps for Autumn’s Rise. This sub area is a small village for guilds which will become important for the story as you progress the game. Here you will also find the headquarters of the Last Minute Heroes! That’s all for this week! See next time! 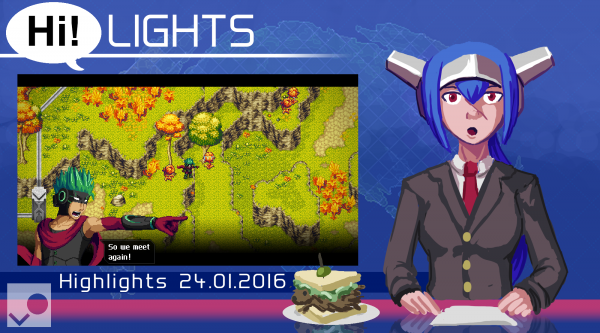 This article was posted in CrossCode, Highlights of the Week, Weekly. Bookmark the permalink. I’ve been playing this all night! Every new update is like Christmas. I love the humor in the dialogue. Emilie is really fun to have around to comment on random things. Like remembering her childhood on the farm, and feeling weird about attacking all the “cows.” :) Nicely written. So that’s what’s up there above the mysterious gate blocked by that blue man. I haven’t figured out how to get all those chests yet.